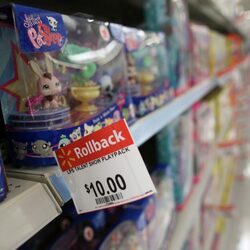 How much is Ryan ToysReview Worth? Ryan ToysReview net worth: Ryan ToysReview is a YouTube personality who has a net worth of $16 million. 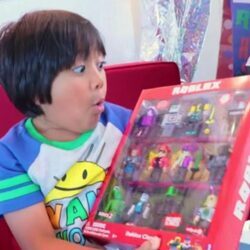 Ryan ToysReview is best known for being featured on his self-titled YouTube channel. The channel was started in 2015 and features Ryan and his mother, father, and his twin sisters. As of March 2019 the channel had 18 million subscribers and 28 billion total views. 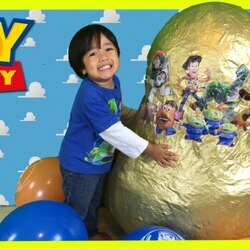 Ryan ToysReview releases a new video each day and his video "Huge Eggs Surprise Toys Challenge" has more than 1.5 billion views, ranking it among the 40 most viewed videos on YouTube. Between 2016 and 2017 he is said to have brought in more than $11 million in revenue and he was the highest YouTuber in 2018 at $22 million of revenue which includes his product line at Walmart. Nickelodeon began producing the show Ryan's Mystery Playdate in 2019. His mother quit her job as a high school teacher to work on the channel full time.